As for any outdoor sports, decathlon also depends a little bit on the weather. Bad weather like rain is first of all uncomfortable for both the athletes and the spectators and could also have an impact on the results. 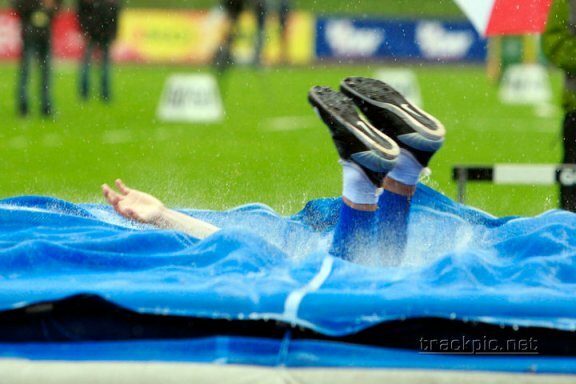 Probably you still remember the massive rainstorm during World Championships in Helsinki 2005. Though the stadium was literally under water, the decathletes had to continue their high jump event. And despite these conditions Attila Zsivoczky managed to cross 2.15m, a really outstanding performance. But it's also a little disadvantage for the athletes if it's too hot, as this can easily weaken the body and impair the results. Probably the best weather for a decathlon competition is a sunny day, not too hot, probably around 25°C. And, of course, a slight tailwind could also be an advantage, especially in running and jumping events, while for discus and javelin throw the athletes might prefer wind from the opposite direction.